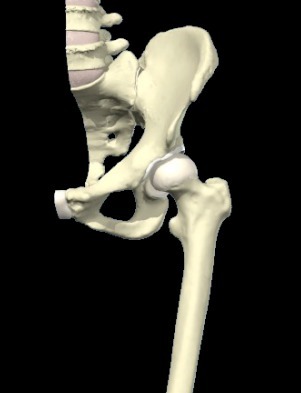 Arthritis is wear & tear of the hip joint. Treatment consists of pain killers, Anti-inflammatories, Physiotherapy, Cortisone injections into the joint. If pain is unrelieved & you have to take frequent or daily painkillers & anti-inflammatories which can have side effects such as acidity in your stomach, heart burn or in the long term Kidney damage it may be better to consider surgical intervention. Hip replacement is a good option to relieve pain. In the vast majority of hip replacements CAS does not influence the outcome. 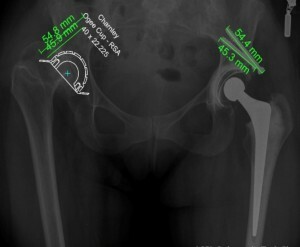 Very rarely computer assisted surgery becomes necessary to get the alignment right particularly with knee replacements (for e.g., with malaligned bones due to fractures). Your surgeon will discuss this with you if it is indicated. What matters most is the positioning of the components, fixing the components in the bone properly, alignment of the components, respecting soft tissues/ gentle handling of the tissues during surgery. The size of the incision ( a centimetre or two more) does not make any difference to the end result of the operation. Trying to make a small incision & getting the implant positions wrong or retracting & pulling on the tissues can have an adverse effect on the outcome of the operation. So the adage is ” As big as necessary but as small as possible”. At the present time robotic hip & knee replacements are experimental & there is no good evidence to show that this is better than conventional surgery for routine operations. X-rays are now digital which means that hard copies of X-rays are not available. We therefore use digital templates before the operation to plan hip & knee replacements. We can get a rough estimate of the size of implants needed & in case of hip replacements an idea about leg length problems before the operation.